The impressive Mamanuca (pronounced Ma-manutha) Islands are a volcanic archipelago, lying just to the west of Nadi. The islands incorporate a mix of tiny flat atolls and small, hilly islands rising from palm-fringed crescents of gorgeous whitesand beaches. Formed in 2002, the MES was endorsed to protect the stunning marine and terrestrial environment of the Mamanuca Islands. Their mission (and they chose to accept it!) was to promote awareness of the need to protect the marine and terrestrial resources of the Mamanuca Region and to assist, through partnerships with local communities, tourism operators, government and non–government organizations, the environmentally sustainable development of these resources for the benefit of present and future generations. Sea turtles are marine reptiles that inhabit all of the worlds oceans except for the polar regions. Similar to humans, a lifespan of 80 years is feasible for some species. Once she has reached the breeding age of 12 – 20 years old, a mature mamma turtle will haul herself up the beach (almost always at night) to find a nice safe spot to dig her nest. She will do this using her hind flippers, and then fill the nest with her eggs, depending on the species, depositing anywhere from 50 to 250. After laying her precious softshelled eggs, she re-fills the nest and smoothes the surface until it is relatively undetectable and makes her way back down the beach to swim off into the blue. The incubation period lasts for about two months, after which time, all the eggs hatch together. The baby turtles tear through their shells with their snout and dig their way up through the sand until they reach the surface, where they instinctively head towards the sea. People all over the world have heard about the plight of sea turtles in the media as their populations have been dramatically reduced worldwide, earning them Critically Endangered status on the IUCN Red List – see here. Sea turtles have existed in our oceans for more than 100 million years, but today they find themselves struggling for their lives and their future. The inaugural journey of just-hatched fragile baby sea turtles sees them struggling to get to the relative safety of the ocean. Unfortunately, the odds are stacked against them from day one; birds and land mammals swoop down on the baby turtles, reducing the number that make it from the nest to the ocean by as much as 80%. According to research, only about 25 per cent of those that do make it to the sea, are likely to survive their first year and only one out of one-hundred eggs will reach their full adult size. Add to this slim chance of survival their most formidable enemy, humans! Many humans still refuse to accept the important role that sea turtles plan in the delicate eco-system of our oceans. And many more do not realise that their everyday behaviour is playing a major role on the global decline of these animals as discarded plastics entering the ocean from all over the planet are mistaken for jellyfish and swallowed by the unsuspecting turtle. Sea turtles have been used for local consumption for as long as humans have fished the seas, providing food (oil and protein) as well as other commodities (bone, leather, and shell) to coastal peoples around the world. 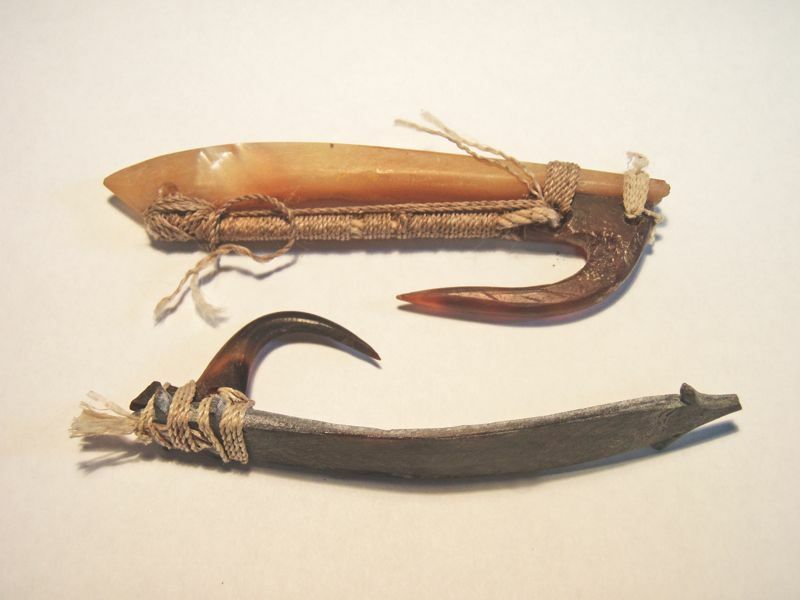 The carapace was treasured by our fishing forefathers as the material of choice from which to hand carve the hook portion of their lures. This was owing to the practicability of carving the hook, and the fact that it would break before the more valuable pearl shell portion would be lost to a fish. 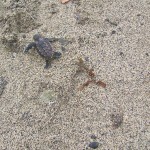 Sea turtles are also caught unintentionally and drowned by trawl nets and gill nets. 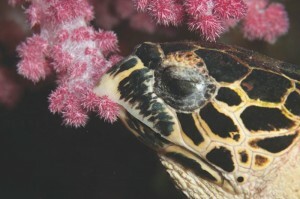 Dredging for oil and gas are also responsible for destroying habitat and injuring sea turtles. As a delicacy, sea turtles have been consumed throughout history in the islands of Fiji. These animals have immeasurable worth as a cultural asset which is a central element in Fiji’s respective customs and beliefs. 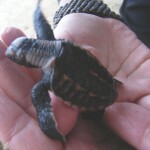 In the example of a chiefly function, local fishermen are required to present turtles to their chief – it is their obligation as demanded by an age-old tradition. While over the years, thousands of sea turtles have been slaughtered in the name of tradition, today, things are changing. 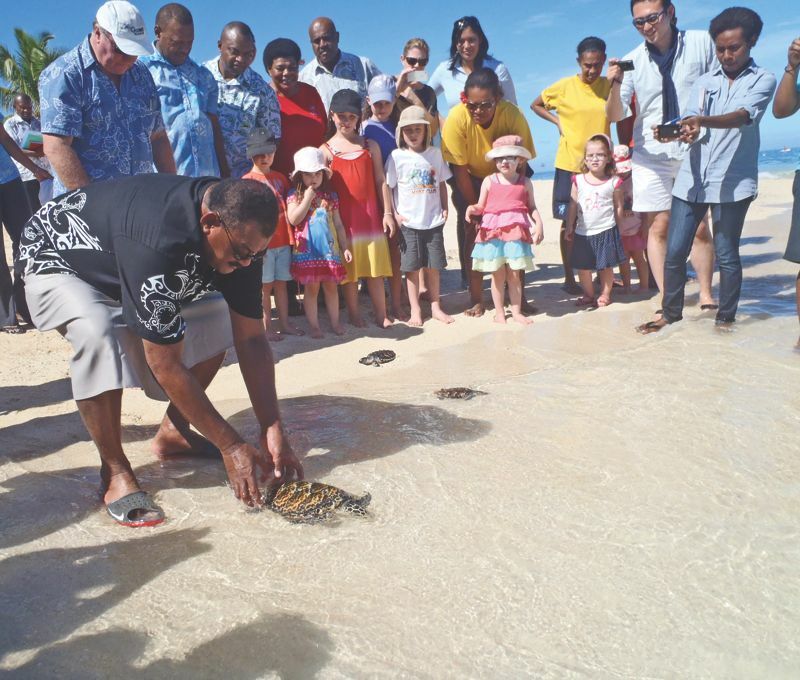 The Fiji Fisheries Act prohibits the killing of sea turtles, but while the battle continues in some areas, harvesting turtles in the Mamanuca Islands is considered a sin. 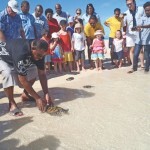 Fiji has a national moratorium in place until January 1st 2019 that prohibits harassing, taking or killing of turtles or their eggs. Furthermore, anyone caught selling turtles can be fined FJ$20,000 or face a prison sentence of five years! We hope that this directive will help to bring back this magnificent creature from the brink of extinction. There are 7 species of sea turtle in the worlds oceans, and here in Fiji we are lucky enough to be considered home to five of those species. All species of sea turtle are listed as Threatened or Endangered on the IUCN Red List. Two of the species that regularly frequent the Mamanuca waters are the Hawksbill (locally known as Vonu Taku) and the Green Turtle (Vonu Dina). 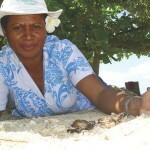 The traditional nesting season in Fiji is from October to April. Out of the 23 islands in the Mamanuca group, there are 19-recorded nesting sites. So please do be careful while walking along the beach, and look out for crawl tracks that resemble marks left by a tractor tire. While it’s a sight familiar to many fans of nature documentaries, only a lucky few have witnessed this first hand. 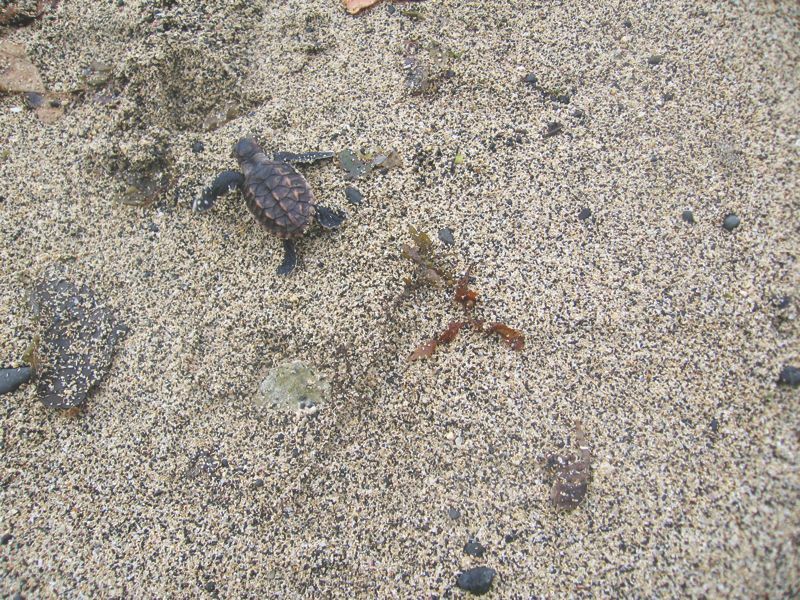 During your stay in Fiji, you may be one of the lucky ones to see turtles nesting naturally or perhaps you might come across tiny hatchlings making their way down the beach. If however, you would like to guarantee such an interaction, there are three turtle ponds located at resorts in the Mamanucas; Treasure Island, Vomo and Mana Island Resort. Here, you can see some baby turtles. The program is part of a MES Head Start Program where newly hatched turtles are kept safe until they reach a certain size before being released into the ocean to maximize their chance of survival. Another fun and incredibly novel way you can support our country’s turtle conservaion initiatives, is to drink ‘Vonu’ beer. 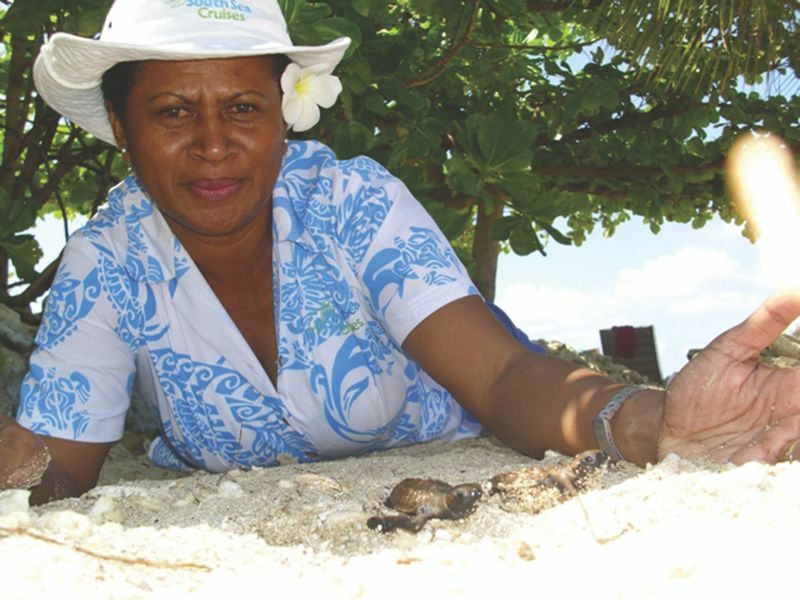 The ‘Island Brewing Company’, proudly supports Fiji’s endangered Vonu Dina (Green Turtle) through the Mamanuca Conservation Turtle Project, by raising awareness and assisting in the funding of breeding programmes. If you happen upon a turtle in distress, please do try to help it. MES is a self-supporting, unbiased and non aligned entity. The Society has no industry agendas be that tourism or local community issues. Rather the focus is solely on the betterment of the environment of the Mamanuca Islands region. For more information about the Mamanuca Envrionment Society see here MAMANUCA ENVIRONMENT SOCIETY and ways in which you can help our sea turtles.